AXIS T96A05-V Dome Housings, designed for AXIS M50 Series, have IP66 protection rating against the ingress of dust and high pressure water jets from any direction. The IP66 classification makes it usable in semi outdoor environments, such as under ceilings at airports and other semi outdoors places. Moreover, the IK10 rating is for protection against impact and vandal acts. 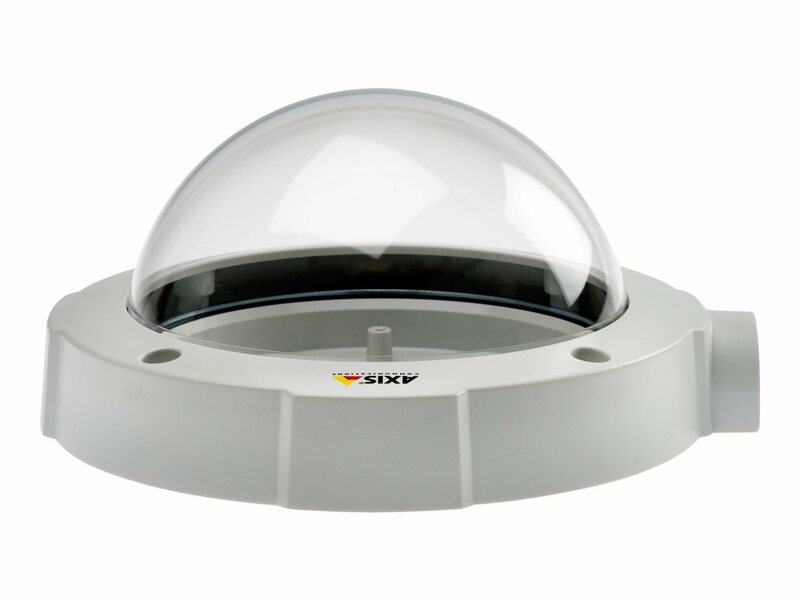 AXIS T96A05-V finds its best applications in those installations where AXIS M50 cameras are already installed on a hard ceiling, but need to be converted into vandal-resistant cameras.